A reliable source for Concrete Tubes information and a resource for accessing leading Concrete Tubes and suppliers. A concrete tube, or concrete core, is a device used to pour concrete for construction applications. These devices are typically constructed from cardboard or other similar fibrous materials, and they serve as the means for containing and shaping the concrete. With a concrete tube in place, construction workers can pour liquid concrete into the cardboard core and allow it to solidify, allowing for the construction of large concrete columns and support structures. 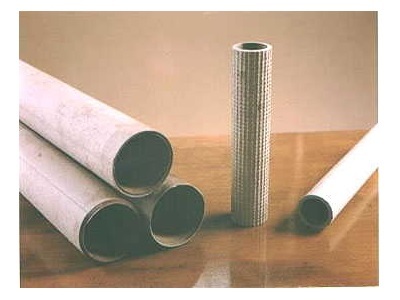 Concrete Tubes A concrete tube, or concrete core, is a device used to pour concrete for construction applications. These devices are typically constructed from cardboard or other similar fibrous materials, and they serve as the means for containing and shaping the concrete. Cardboard is very easy to cut and manipulate, so the tube length can be cut down to the appropriate length using hand tools or power tools. For most construction applications, tubes can be purchased much longer than necessary and then cut to the desired length when they are needed. Besides these dimensional variations, tube manufacturers can incorporate other beneficial features to meet specific applications. Water resistant walls are a common feature used in the construction industry. Because water is so important to the concrete curing process, a water resistant layer on the inside of the concrete core can help prevent the water from diffusing into the ground or air around the tube. This additional feature can help improve concrete strength and reliability. Other features typically focus on improving the durability of the tube for use in harsher environments. Construction companies are the largest consumers of concrete tubes and cores as they provide an effective and affordable method for creating load bearing concrete structures. Other materials like steel or plastic can be used to create similar tubes. However, cardboard is typically much more affordable than metals and plastics. These other materials are also much more difficult to remove from the column once it has solidified. 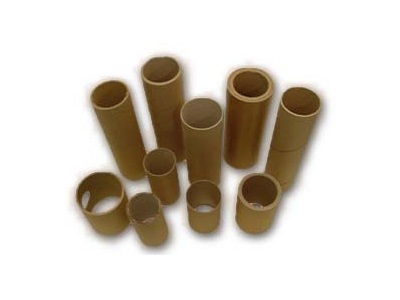 Cardboard tubes, on the other hand, can simply be cut away and removed, and these tubes can be cut to the correct length much easier as well. For this reason, you will often see cardboard tubes being used to create columns for highway overpasses and piles for architectural foundations. In addition to large construction projects, these tubes are an affordable option for commercial use and home improvement projects. Ultimately, concrete cores and tubes provide an excellent, cost effective solution to any concrete fabrication application.